There are so many farms and apple orchards around Massachusetts. To find the one closest to you and your Little Sister, visit this resourceful website: http://www.mass.gov/agr/massgrown/apple_pyo.htm. You can find other fun events and delicious recipes there as well! Saturday, September 3, 2:00 p.m. – 6:00 p.m. Celebrate Labor Day weekend with your Little Sister with a jazz festival featuring local award-winning artists. Bring a blanket and a picnic basket and enjoy this relaxing end of summer serenade! Meet at the Martini Shell at 1015 Truman Parkway in Hyde Park, MA. This event is free and open to the public and is for Little Sisters of all ages. For more information about this event please see http://www.mass.gov/dcr/events/bhhikes.pdf. Saturday, September 3, 2:00 p.m. – 3:00 p.m.
Visit the free Civil War exhibit “Torn in Two” at the Boston Public Library with your Little Sister. Learn the history of the Civil War and view 50 historic maps, and 40 photographs, painting, prints, diaries, political cartoons, music and press from the period. Tours begin in the “Torn in Two” exhibit located in the Changing Exhibits Room on the first floor of the Central Library’s McKim Building (Dartmouth St. entrance) in Copley Square. This event is free and open to the public and is for Little Sisters ages 13 to 18. For more information about this event please visit http://www.bpl.org/news/calendar.htm. Wednesdays, September 7, 14, 21, 28, 6:00 p.m. – 7:00 p.m.
Bring your Little Sister and join a free yoga class on the Esplanade! Each week a different professional instructor teaches the class, allowing you to experience different styles of yoga. Beginners are welcome. This event is located on the Charles River Esplanade on Storrow Drive, Boston, MA. Meet by the Arthur Fiedler Statue. Please visit www.esplanadeassociation.org or call 617-227-0365 for directions or more information about these events. This event is free and open to the public and is for Little Sisters of all ages. 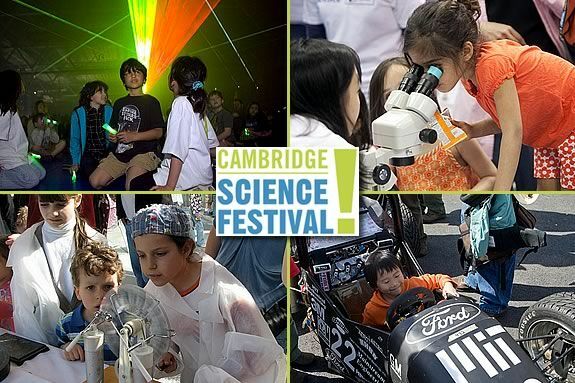 Friday, September 9, 5:00 p.m. – 8:00 p.m.
Jump start your weekend at the MIT Museum with your Little Sister! You will be able to get up close and personal with Kismet the Robot, see the world in 3-D in the holography exhibit, and enjoy performances, demonstrations, and lectures throughout the galleries. Light refreshments will be served. The MIT Museum is located at 265 Massachusetts Ave, Building N52, Cambridge, MA. Please call 617-253-4444 or click here for more information about this event. This event is free and open to the public and is for Little Sisters of all ages. Saturday, September 10, 12:00 p.m. – 6:00 p.m.
Channel your inner artist with your Little Sister at this interactive arts festival. Affectionately dubbed Ahts, The Boston Arts Festival features over 60 juried artists from Boston and two stages showcasing Boston’s best performing arts groups. This event is located at the Christopher Columbus Park, on Boston’s Waterfront between Faneuil Hall Marketplace and the North End. This event is free and open to the public and is for Little Sisters of all ages. For more information about this event please call 617-635-2370. Sunday, September 11, 11:30 a.m. – 5:00 p.m.
Bring your Little Sister to the annual Victorian Fair! A two-block section of Main St. in Melrose will be closed and will contain booths with beautiful crafts, give-aways, mini-golf, face painting and more! Local restaurants will prepare tasty samples for fair attendees. Some games and food will be for purchase. This event is open to the public and for Little Sisters of all ages. Please see http://www.melrosechamber.org/Melrose-Victorian-Fair.html for more information about this event. The rain date is September 18, 2011. Sunday, September 11, 3:00 p.m. – 5:00 p.m.
Join the opening ceremony of the Instruct, Inspire, Incite exhibit of the Lexington Arts and Crafts Society. The participating artists will be on hand to describe the pieces they have created. There will be various styles of artwork on display, ranging from basketry to Chinese calligraphy. The exhibit will be open until September 25th. This event will take place at 130 Waltham Street, Lexington, MA 02421. It is free and open to the public and is for Little Sisters of all ages. Please call 781-862-9696 for more information. 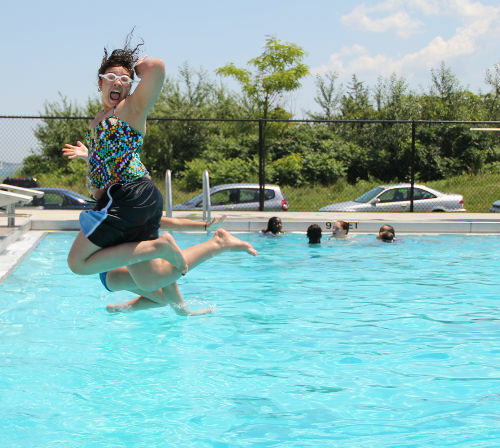 Sunday, September 11, 1:00 p.m. – 4:00 p.m.
Say farewell to Summer and hello to your neighbors in Dorchester! Enjoy an afternoon of fun at the annual Neighborhood Block Party! A DJ will provide music and entertainment. Food and beverages will be served. This event will be located on Van Winkle Street, Dorchester, MA. This event is free and open to the public and is for Little Sisters of all ages. Please see www.mydorchester.org for more information about this event. Saturday & Sunday, September 17 & 18, 12:00 p.m. – 6:00 p.m.
St. Sava Serbian Orthodox Church of Boston is organizing the sixth annual major Serbian Festival in Boston. Celebrating the culture of Serbia, this festival will feature live music and performances by the Grachanitsa Serbian Folk Dance Ensemble of Boston. Come enjoy Serbian culture with your Little Sister! This event is located at 41 Alewife Brook Parkway, Cambridge, MA 02140. This event is free and open to the public and is for Little Sisters of all ages. Please call 617-674-4035 for more information about this event. Do you want to know where to find Big Sister’s Recruitment Team? Here is a list of all the events where we will be recruiting Big Sisters this weekend! If you have family, friends, or co-workers who would make great Big Sisters, have them stop by any of these locations to hear more about how they can change a girl’s life. Also, we love it when matches stop by and say hi! The Boston Urban Music Festival. Saturday, August 6, 5:00 p.m. – 8:00 p.m.
For more information about these events, please visit highlandstreet.org. Mondays, August 1, 8, 15, 22, & 19, 6:00 p.m. – 9:00 p.m. Grab your dancing shoes and learn some new salsa moves! Every Monday night, MetaMovements and the Blackstone Community Center join forces to create a free salsa program with Boston’s youth and community in mind. The courtyard at the Blackstone Community Center becomes a “salsa soiree” with two full dance floors. The events are very popular, so come join the party! This event is free and open to the public and is for Little Sisters of all ages. The Blackstone Community Center is located at 50 West Brookline Street, Boston, MA, 02118. For more information, visit MetaMovements’ Salsa in the Park page. Tuesday, August 2, 5:00 p.m. – 8:00 p.m.
Join the citywide celebration! 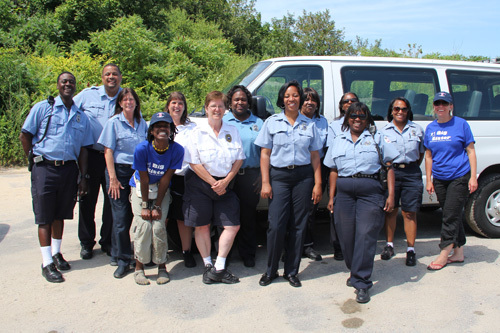 Every year on the first Tuesday in August, Mayor Menino and the Boston Police Department sponsor a night of free fun to promote safety, the Neighborhood Watch, and community partnerships. Activities include music, food, athletic games, moon bounces, and more! The event will be held at the University of Massachusetts Boston Harbor Campus on the student center lawn. This location is accessible by public transportation. 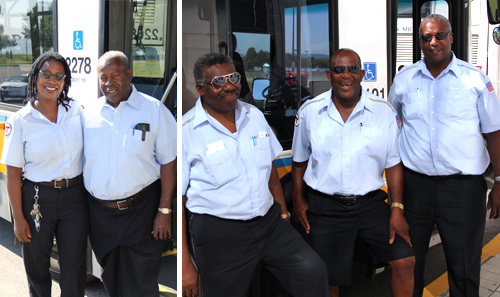 Shuttle buses will also be available at the Red Line JFK/UMass stop and from any BPD district station. This event is free and open to the public and is for Little Sisters of all ages. For more information visit http://www.bpdnews.com/2011/07/22/calendar-listing/. Wednesdays, August 3, 10, 17, 24, & 31, 11:00 a.m. – 3:00 p.m.
Bring your Little Sister to some outdoor summer entertainment! The City Hall Plaza Community Arcade (adjacent to Cambridge Street) will feature a collection of visual arts, performing arts, and food vendors, as well as the weekly farmers’ market. All performances start at 12:00 p.m.. This event is free and open to the public and is for Little Sisters of all ages. For more information, please call (617) 635-3911 or visit www.cityofboston.gov/arts. Saturday, August 6, 9:00 a.m. – 2:00 p.m.
Take part in the action with your Little Sister at this annual Family Fun Day! 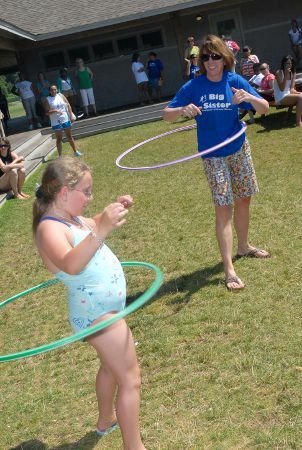 Maudslay State Park in Newburyport will be hosting an afternoon jam-packed with fun activities, including live performances, tethered hot air balloon rides, kayak lessons, gymnastics demonstrations, face painting, hay rides, kickball, pony rides, and more! Nearly all activities are free. This event is open to the public and is for Little Sisters of all ages. 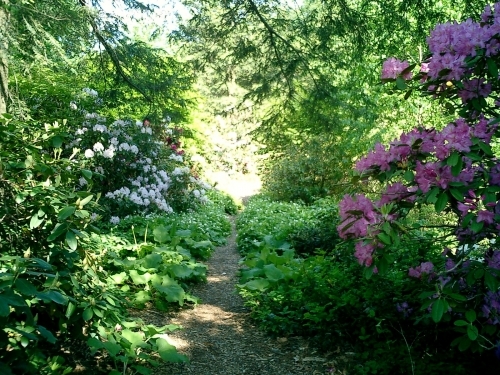 Maudslay State Park is located on Curzon Mill Road, Newburyport, MA. For more information about this event, please call (978) 465-7223 or visit Yankee Homecoming 2011. Saturday, August 6, 12:00 p.m. – 3:00 p.m.
Channel your inner artist with your Little Sister at this interactive arts festival! The DCR Rangers will be leading creative activities that include chalk art, stamp printing, a group mural, and bead making. This event is free and open to the public and is for Little Sisters of all ages. This event will meet at the DCR Martini Shell at 1015 Truman Parkway, Hyde Park, MA. Please call (617) 698-1802 or visit http://www.mass.gov/dcr/events/bhhikes.pdf for more information. Saturday, August 6, 5:00 p.m. – 8:00 p.m.
Feel the beat of the music with your Little Sister at this music festival! City Hall Plaza will be booming with the sounds of Boston’s urban music, sponsored by Mayor Menino’s Office of Arts & Special Events. This event is free and open to the public and is for Little Sisters of all ages. For more information, call (617) 635-3911 or visit www.cityofboston.gov/arts. Sunday, August 7, 5:00 p.m. Enjoy some jazz music with your Little Sister at this free concert! The concert is part of the Citywide Neighborhood Concert series, sponsored by Berklee College of Music with support from the Boston Parks & Recreation Department and Friends of Highland Park. The Jazz Urbane group is opening for Tuffus Zimbabwe. This event will be held at Highland Park in Roxbury, and the rain date is August 14th. This event is free and open to the public and is for Little Sisters of all ages! 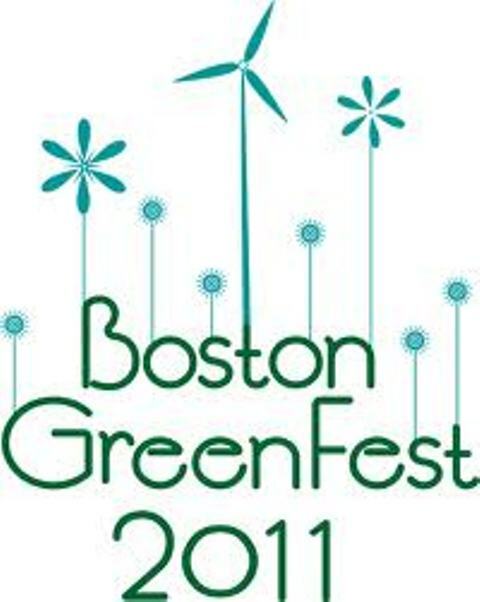 Please visit www.cityofboston.gov/parks or call (617) 635- 4505 for more information about this event. Saturday, August 13, 12:00 p.m. – 6:00 p.m.
Bring your Little Sister to a fun street festival! Experience the food, fun, arts and crafts, sports, games, and stage performances, all with a multicultural theme! This event is free and open to the public and is for Little Sisters of all ages. The event will be located at Mary Hannon Park, Dudley Street, at the corner of Howard Avenue and Dorchester Avenue. The location is accessible by public transportation. For more information, call Jose Barros at (617) 442-9607 x160 or click here. Bring your Little Sister to this all-inclusive festival where you can learn about helping our environment! The festival will begin at City Hall Plaza with a Kick-Off Concert on Thursday, August 18th from 5:00 p.m. – 9:30 p.m., and will continue on Friday, August 19th from noon to 9:00 p.m. and Saturday, August 20th from 11:00 a.m. – 8:00 p.m. There will be live performances, visual arts, environmental exhibits, and educational workshops. This event is free and open to the public and is great for Little Sisters of all ages. The event is accessible via public transportation at the Green Line Government Center stop. For more information, click here. Sunday, August 21, 2:00 p.m. – 4:00 p.m. Enjoy an afternoon of activity with your Little Sister and the Esplanade Association! Various activities will take place for kids and families, such as beginner’s yoga, Parkland games, kid’s fishing, a photography class, and more! This event is free and open to the public and is for Little Sisters of all ages. If you would like to take part in yoga, please bring your own yoga mat. For more information contact Chris Timmel at ctimmel@esplanadeassociation.org or at (617) 227-0365. Take part in a weekend full of celebration with your Little Sister in the North End! This festival will be full of food, music, dancing, religious processions, showcases by famous chefs, and fun for all. The festival starts on Friday, August 26th at 7:00 p.m. Saturday’s festivities begin at noon. Sunday’s events start at 10:30 a.m. Monday’s events begin at noon. This event is free and open to the public and is for Little Sisters of all ages. This event would be great for teenage Little Sisters interested in the culinary arts or anyone who appreciates Italian culture! The festival is accessible by public transportation. For more information, visit http://www.stanthonysfeast.com/schedule.html. Saturday, August 27, 1:00 p.m. – 2:30 p.m.
Bring your Little Sister to a wildlife safari sponsored by the DCR! Follow along with a DCR ranger as you spot New England Wildlife in the Blue Hills area. This hour and a half long hike ventures into both the woods and the wetlands. Be sure to dress for a hike! The event will take place at Brookwood Farm in Canton, and all event-goers will meet at 11 Blue Hill River Road. This event is free and open to the public and is for Little Sisters of all ages. For more information, visit http://www.mass.gov/dcr/events/bhhikes.pdf or call (617) 698-1802. Big and Little Sisters at the Institute of Contemporary Art on Saturday, June 25. 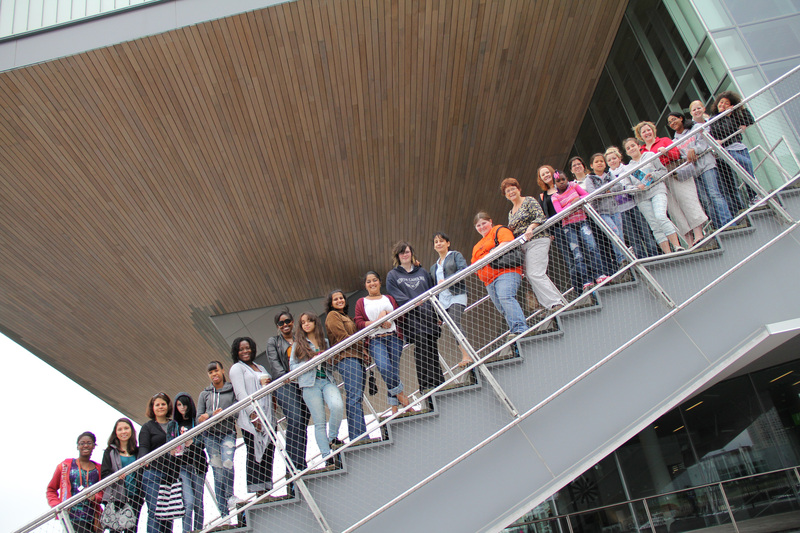 Big and Little Sisters spent a Saturday enjoying the arts and sciences thanks to Bank of America, who donated nearly 60 tickets for the Institute of Contemporary Art and the Museum of Science to Big Sister Association of Greater Boston. 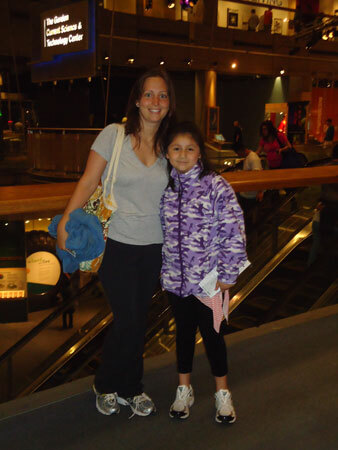 Ticket donations such as these allow Big Sisters and Little Sisters to share fun and educational experiences throughout the city, free of charge. 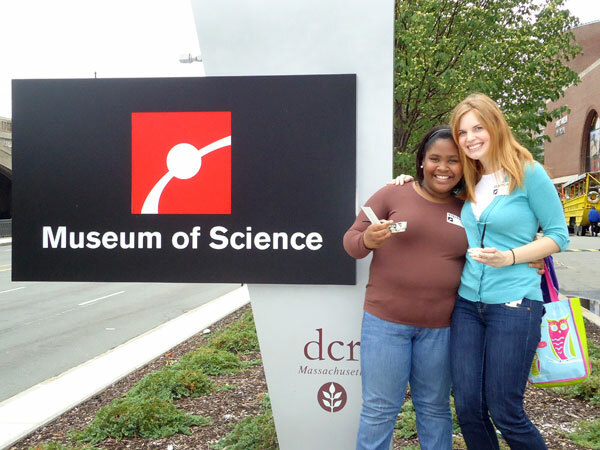 Big and Little Sisters enjoy the day at the Museum of Science on Saturday, June 25. Every Friday this summer, the Highland Street Foundation is providing free admission to various cultural attractions in Massachusetts for families and children. No registration or tickets are required. These are the participating locations and dates for July 2011! Please visit www.highlandstreet.org for more information. Celebrate America’s Birthday with your Little Sister! There are many fireworks displays in the Greater Boston area. Visit bostoncentral.com to find a fireworks display in your hometown. Or go to the world famous Boston Pops Fireworks Spectacular along the Charles River Esplanade in Boston, MA and enjoy a free concert! Please visit www.july4th.org for more information about this event. Saturday, July 2, 11:00 a.m. – 12:00 p.m. The British are coming! The British are coming ! See a reenactment of how British soldiers invaded our city after Paul Revere’s famous Midnight Ride. Historic British regiments will arrive at Long Wharf and march up State Street to the Boston Common. It is a great educational way to celebrate America’s independence from England with your Little Sister! This event is free and open to the public and is for Little Sisters of all ages. Please visit www.bostonharborfest.com for more information about this event. Saturday, July 9 and Saturday, July 23, 11:00 – 1:00 p.m. Enjoy a Saturday full of excitement and learning at craft workshops at the Boston Frog Pond Spray Fountain. After you and your Little Sister create fun crafts, cool off in the Frog Pond Wading Pool. This event is sponsored by the Frog Pond in partnership with Art Street. This event is free and open to the public and is for Little Sisters ages 7-13. Please call (617) 244-3171 for more information about this event. The Boston Frog Pond is located in the Boston Common at 84 Beacon St, Boston, MA 02108. Sunday, July 10, 1:00 p.m. – 3:00 p.m.
Bring your Little Sister to this land and sea adventure! First you will paddle a canoe down the Neoponset River, then head back to your starting point on a trolley tour discovering the rich history of the different communities you travel through. Paddling experience is required as no instruction will be given. This event is free and open to the public and is for Little Sisters ages 12 and up. Please call 617-542-7696 to register for this event and receive a meeting location. Friday, July 15th through Sunday July 17th 10:00 a.m. – 10:00 p.m.
Bring your Little Sister to view some amazing sand sculptures! There will be food and art vendors, live entertainment, Disney Radio, and more! This event is free and open to the public and is for Little Sisters of all ages. Please call 978-749-6700 for more information. This event is located on Revere Beach Blvd, Revere, MA. Friday July 15, 22, & 29 7:00 p.m. Pack up a blanket, lawn chair, and picnic and head to the Hatch Memorial Shell for free movies! Here is the movie schedule for July: July 15th MEGAMIND, July 22nd Despicable Me, July 29th How to Train Your Dragon. These events are free and open to the public and are for Little Sisters of all ages. The Hatch Shell is located on Storrow Drive, Boston, MA. For more information or cancellation due to weather call 617-787-7200. Saturday, July 16, 10:00 a.m. – 2:00 p.m.
Big Sister is proud to announce this year’s summer picnic! 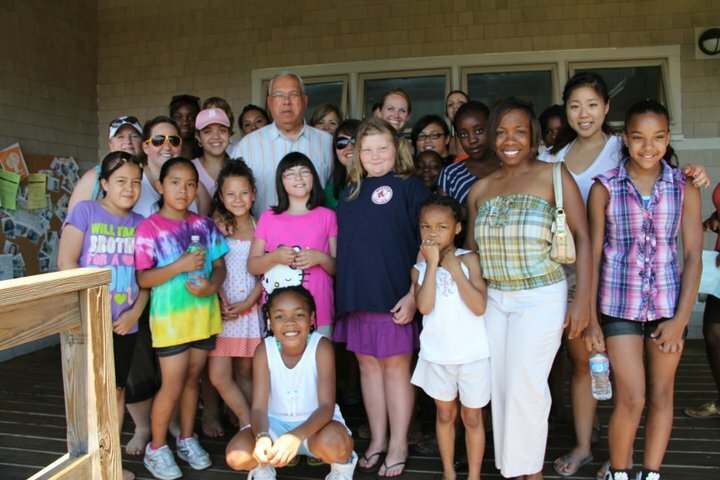 Bring your Little Sister out for a day of picnicking fun at Camp Harborview. Activities will include both indoor and outdoor games such as relay races, a balloon toss, and various crafts. A BBQ lunch will be provided. For dessert, the b.good ice cream truck will be dishing out milkshakes! This is a great way to ring in the summer and to meet other matches! This event will take place at Camp Harborview. Transportation will be provided for matches from a designated location and will be T accessible on either the red or blue lines. For more information or to register for this event, please contact Jennifer Gentile at jgentile@bigsister.org. Saturday, July 16, 10:00 a.m. – 4:00 p.m.
Help Support Youth in Crisis by attending their “Hoops and Scoops” event. There will be free food, ice cream, basketball games and trophies on the court. All proceeds raised will go to Youth in Crisis. This event is free and open to the public and is for Little Sisters of all ages. This event will be held at the Mildred Community Center, 5 Mildred Ave, Mattapan, MA 02126. Please see http://www.mydorchester.org for more information about this event. Saturday, July 31, 1:00 p.m. – 3:00 p.m.
During this workshop you and your Little Sister will work together sanding, measuring, sawing, hammering, and carving to build a “memory box.” This event is free and for Little Sisters ages 11-14 and is open to 15 matches. Please contact Jennifer Gentile at jgentile@bigsister.org to sign up for this event. The event will be located at the Eliot School at 24 Eliot St, Jamaica Plain, MA. 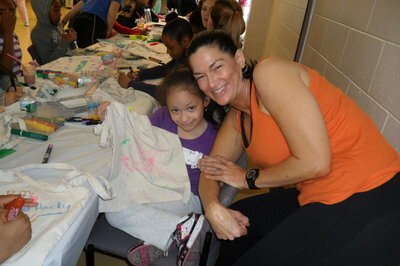 A Big for a Day volunteer and her Little Sister show off the tote bag they designed during the “Spring into Wellness” event held at the Reggie Lewis Center in Roxbury last month. The First Lady is doing it; Beyonce is doing it and by hosting a “Spring into Wellness” themed Big for a Day(BFAD) event last month, Alpha Kappa Alpha (AKA) Sorority and Big Sister Association are doing it to. We are helping girls make healthy nutrition and physical activity choices. Inspired by Michelle Obama’s “Let’s Move” initiative, which aims to reduce childhood obesity, AKA invited 30 girls on our wait list and 30 BFAD volunteers to the Reggie Lewis Center in Roxbury for an afternoon filled with zumba, yoga, arts and crafts, and a healthy snacks discussion. 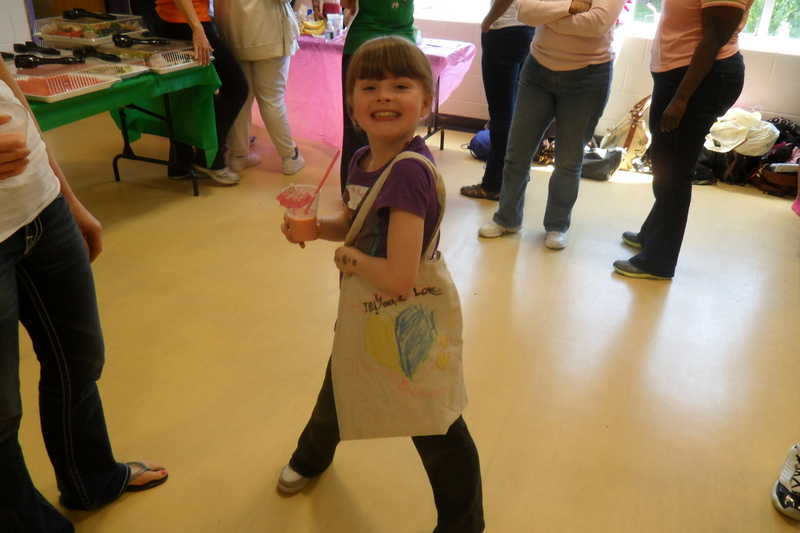 A Little Sister shows off her newly designed gym bag while drinking a nice, healthy smoothie! 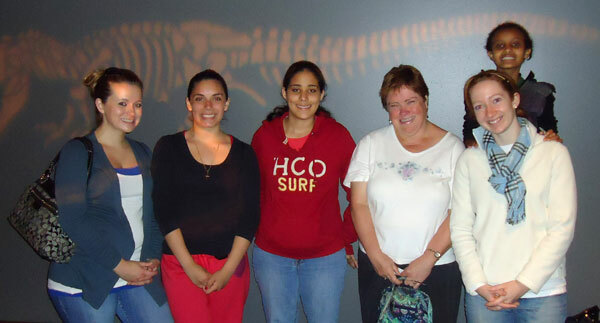 Big Sister Association’s BFAD program pairs women with Little Sisters on our wait list. This program is a wonderful way for our Little Sisters to enjoy fun activities while waiting to be matched and for women to get involved if they are unable to commit to a traditional match. Each month, Big Sister partners with a different company or service organization to sponsor a BFAD event. BFAD activities have included trips to a museum, dance workshops, and cooking classes! BFAD volunteers are women who have gone through Big Sister’s screening process and/or are in the process of becoming a Community-Based Big Sister. We have several exciting BFAD activities coming up this summer, and would love for you to participate! July 16 – Big Sister Summer Picnic. Join other matches for a fun-filled day including swimming, frisbee, sandcastle-building, crafts, and much more! July 31 – Mini Golf. Test your mini golf skills with the Boston Chapter of the Executive Women’s Golf Association! August 13 – Explore the JFK Library. 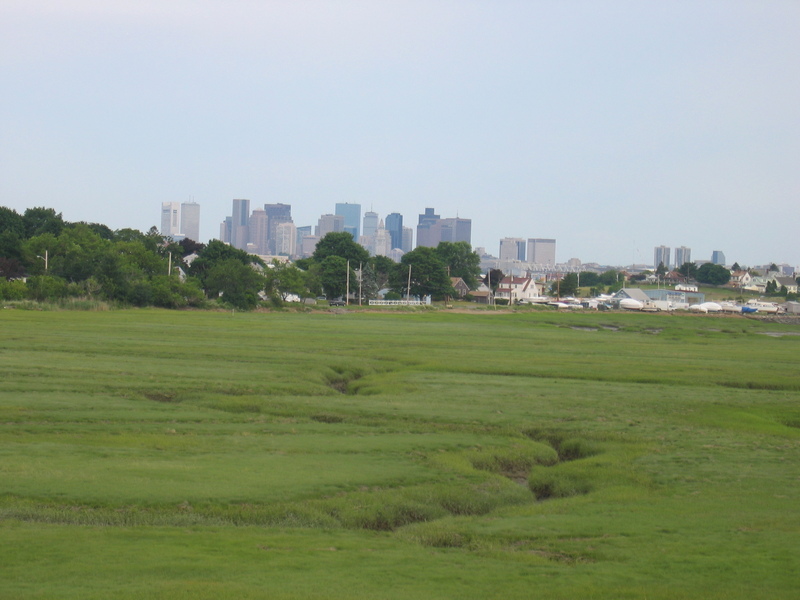 Brush up on your history and politics while taking in a beautiful view of Boston and the water! Want to sign up? Have questions? Contact Jen Gentile. **Please note: if you are currently involved in a Community-Based match, you are not eligible to participate in Big For a Day. We’ve all heard about, or watched, the episode. On the set of the Oprah Winfrey Show, guests open ribboned boxes hoping to find a key to a brand new car. Squeals of surprise and joy fill the studio as, one by one, guests find out that they have all won. Magnanimous and smiling, Oprah calls “You get a car! You get a car!” to each and every guest. With our 23rd Annual BMW Raffle, you can have you own Oprah moment, courtesy of Big Sister and Herb Chambers BMW Boston. Picture yourself in a brand new red BMW convertible or select the $38,000 cash prize instead! Raffle tickets are $100 each or 3 for $250. We’re only selling 1,750 so the odds of winning are amazing. The bonus: your raffle ticket purchase helps support our mentoring programs for girls. Could you be the winner? You’ll never know unless you enter. Click here to purchase your BMW raffle ticket today. The drawing is July 29, 2011 at 1pm at Faneuil Hall. Need not be present to win.